I am delighted to share with you my February choice for A Year In Books organised by Laura at Circle Of Pine Trees. The year is 1683 and Robert Merivel, the main actor of Rose Tremain's Restoration (shortlisted for the Booker Prize in 1989), appears again, as melancholic and self-doubting as before. The Puritan Revolution and Civil War have given way to the extravagance, gaity and desire for display which have revisted England with the return of Charles II from exile. This is also a time of flux and uncertainty in every sphere; the perfect backdrop for Merivel's existence. 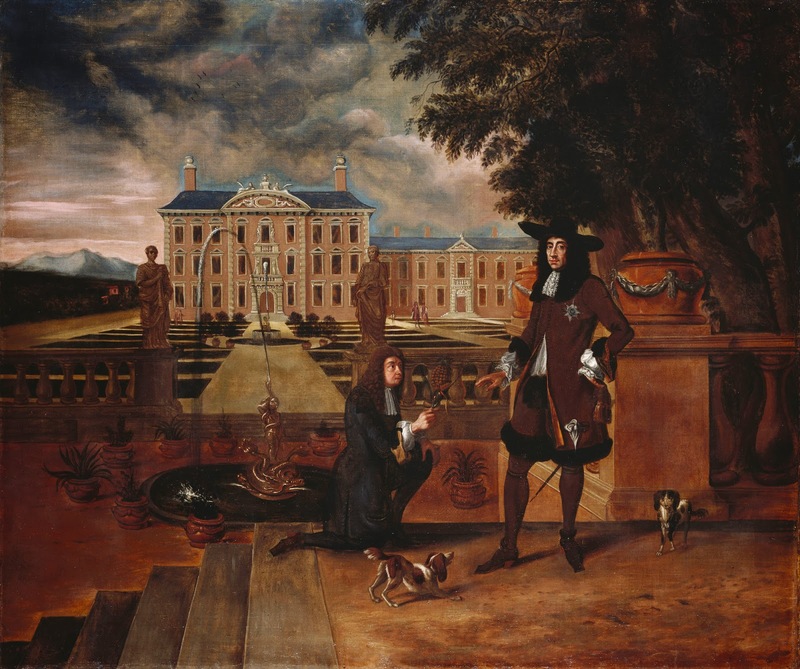 The son of a mere glovemaker, turned physician and natural scientist, and, more importantly, a close friend to King Charles II, who bestowed the imposing country estate of Bidnold in Norfolk upon him several years before. Somewhat down in the dumps in the opening pages and surrounded by old, cranky and incompetent servants, Merivel is stung by Margaret, his beautiful daughter's, gentle reproach that he has become idle and that his life seems to lack purpose. And so, in an attempt to seek glory, he decides to travel to London to his good friend Charles II with the aim of procuring from him a written introduction to The Sun King, Louis XIV, in Versailles. Merivel's trip to France does not go as he had hoped but we, the readers, are treated to a fabulous description of a palace under construction, the corridors of which are overspilling with malicious and desperate courtiers (many of which suffer the humiliation of sharing a "pisspot" and having little or no food) clutching at the hope of a moment's attention from a sneering and aloof king. A French château and a Swiss one, typhus, cancer, a duel, one miserable bear, lust, a father's love for his daughter, a profound friendship between a king and his physician, plenty of hot chocolate, and a smattering of gardens and, the most fabulous ingredient of all in my opinion; Merivel's touching self-deprecation which makes his excessive mood swings quite forgivable. Rose Tremain's novel is as rich in material detail and it is in emotion. I was quite simply enthralled and would strongly recommend it to you all. I have gathered a lot of inspiration from reading Merivel and researching a little further the fashion of Charles II's court. 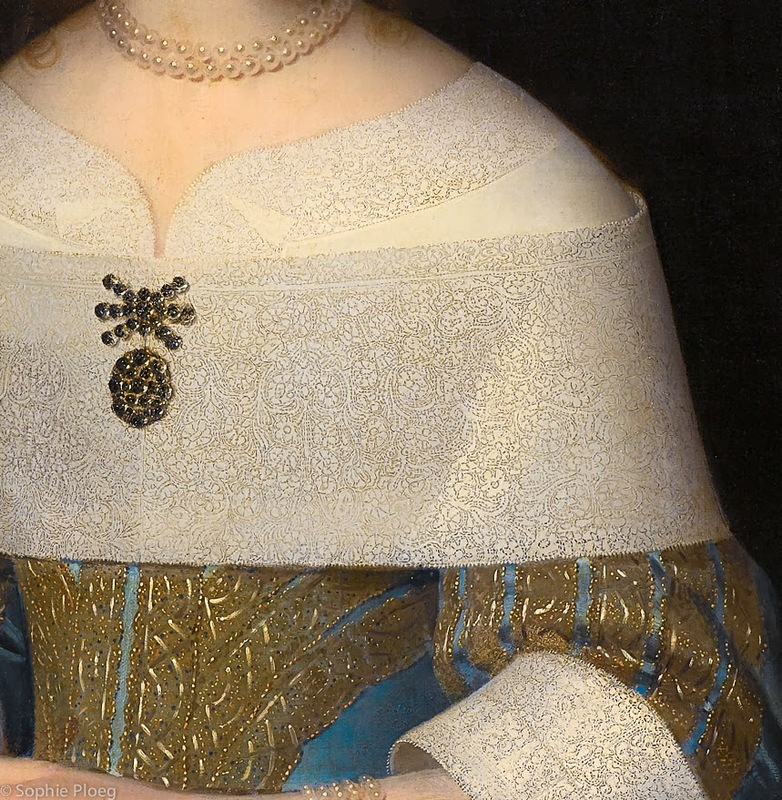 According to Aileen Ribeiro in her detailed book, Fashion And Fiction: Dress In Art And Literature In Stuart England, the king's preference was for 'subtle colours in his private costume, although the fabrics were rich and the linings often brightly coloured and pinked.' In the painting below the king wears a plain coat and petticoat breeches of dark brown which brought to my mind the frequent cups of hot chocolate consumed by Merivel. Hendrick Danckerts (attributed), Chalres II Presented with a Pineapple by the Royal Gardener John Rose, circa 1677. 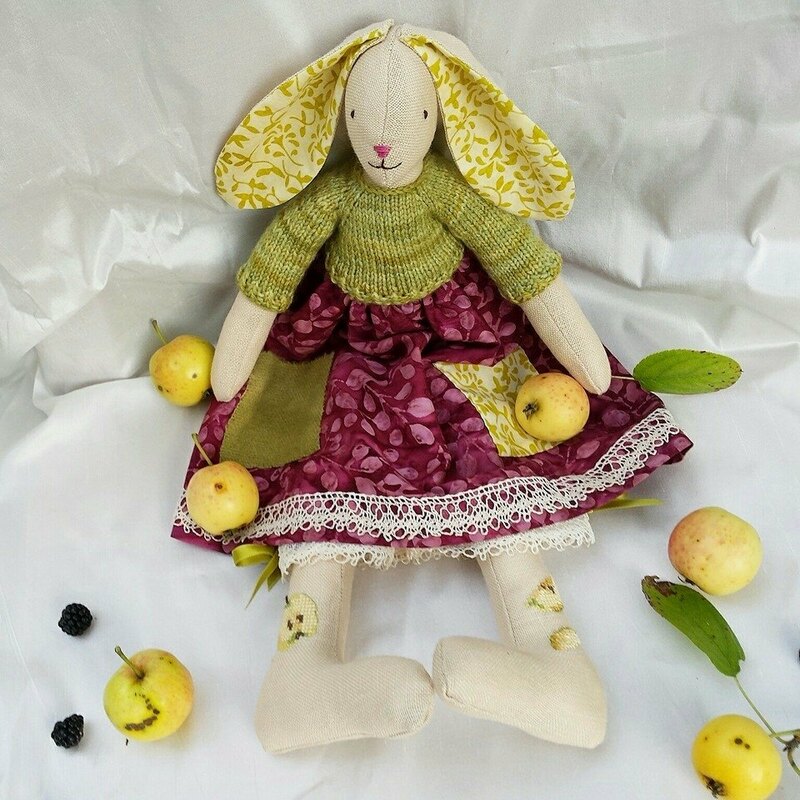 I wanted this latest hare of mine to wear the colours of the book - hot chocolate, starched laundry, arable earth and the browns of King Charles II's clothes . She has also been greatly inspired by my friends who are passionate about lace making, both as collectors and creators. I hope I've given her a timeless style. Her pantaloons are stitched from my favourite 1900s hand embroidered polka dot tulle and trimmed with 1920s ivory lace. The hem of her caramel-coloured dress is ornamented with a Breton friend's handmade lace. As you can see she has a lace bobbin embroidered on one paw and on the other a lace thread spool. I have named her Rosie Pierpoint after Merivel's favourite lover who runs a laundry by the Thames in London. I must also confess that she is possible my favourite creation to date because of what she represents. I love the art of lace making and I am very fond of the chocolate and caramel colours of her clothes too. If you think you might like to give her a home you may find her here. I leave you with a picture of our beloved eleventh-century parish church door where Rose Pierpoint was photographed today during a brief sunny spell. May your week be filled with plenty of sunny spells too.